It is traditionally use for general health to enhance men energy, stamina and building a strong body system. 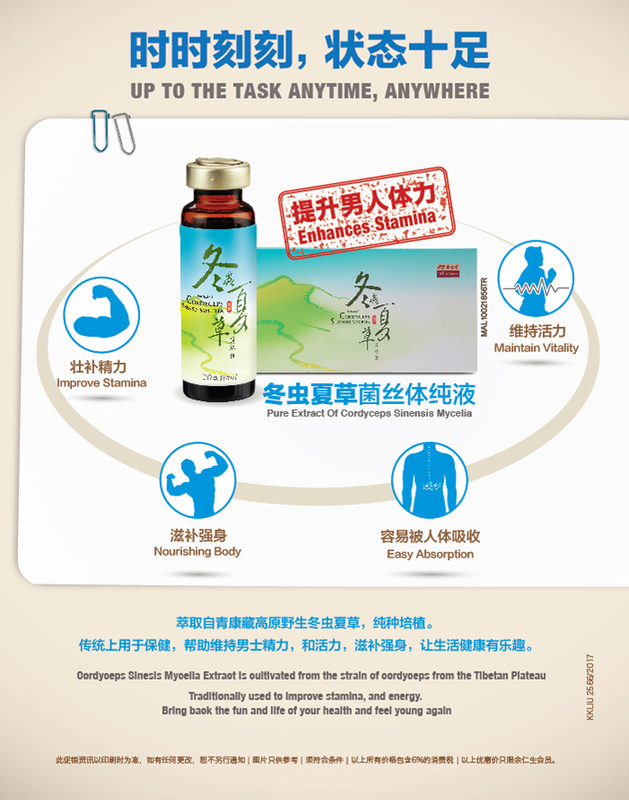 Each 20ml product contains extract of the Cordyceps Sinensis Mycelia (3.5g) and water (16.5g). This product is in liquid form, shake well before use. 1/2-1 bottle a day according to individual needs. Half dosage for children aged below 12. Avoid consumption when suffering from fever or influenza. This product is not suitable for children aged below 1.